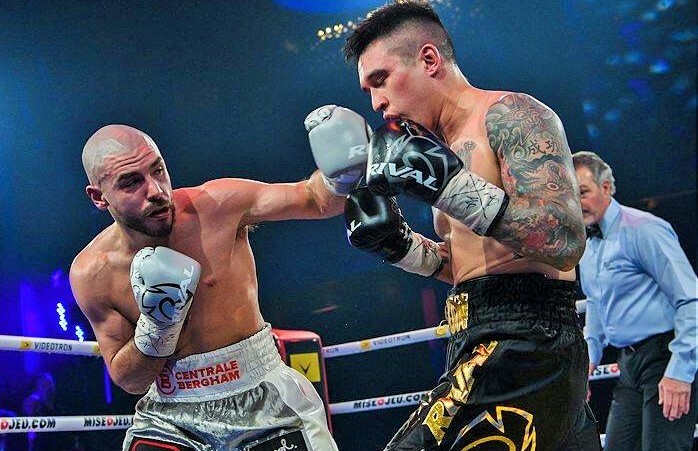 When Canadian boxing fans look back on 2019, Eye of the Tiger Management’s first gala of the year at the Montreal Casino may well be viewed as the foundation for more than one breakout campaign. 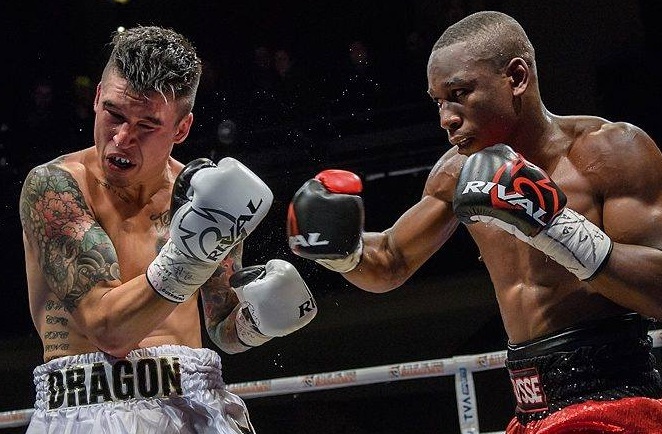 For the past couple of years, Canada’s largest stable of boxing talent has been methodically progressing a veritable army of elite prospects, biding time for the right moment to strike at world level. Well, wait no longer, because 2019 should not be another developmental year. In last night’s main event, road warrior Steve “The Dragon” Claggett (27-5-2) stalked and punished Mathieu “G-Time” Germain (16-0-1) in a riveting duel. The fight featured multiple momentum swings, a dizzying punch output from both men, and captivating in-fighting in a tactical battle to control the ring geography. The judges’ split draw verdict reinforced what was obvious as early as round three: Germain and Claggett were born to fight each other. Claggett and Germain put on a great show. But scintillating main event aside, the nine-fight card featured a compelling mix of local prospect development with two prodigious talents raring to make the leap to contender status despite fewer than 10 pro matches each. Indeed, the diversity of Eye of the Tiger’s loaded stable was what truly stood out, making the future prospects for everyone absolutely tantalizing. With that, here are some takeaways from last night’s action. Canadian Fight of the Year? 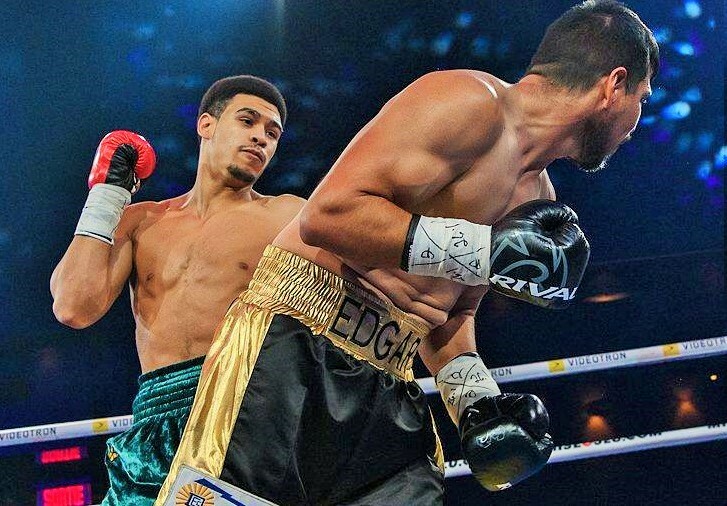 The ring styles of Mathieu Germain and Steve Claggett meshed perfectly and produced a battle that will be tough to top, despite it only being January, when it comes time to hand out the Canadian “Fight of the Year” award. As expected, Claggett applied relentless pressure from the opening bell, but Germain, a more classic boxer with excellent footwork and hand speed, met this aggression head-on by standing his ground and landing dazzling combinations. The bout’s competitiveness and offensive output made Germain vs Claggett a classic with the match’s second half particularly fascinating as the warriors took turns edging rounds with frantic efforts and frenzied rallies. Germain appeared to win the seventh, prompting a Claggett rally in the following stanza, but in the ninth Germain somehow out-punched Claggett and handcuffed the Albertan with relentless combinations. This appeared to set up Germain for a points win if he could carry that momentum into the final round, but instead the last stanza proved to be Claggett’s best of the fight, with the challenger nearly scoring a knockdown. Germain vs Claggett definitely deserves a second viewing, both for more careful scoring and pure appreciation. “G-Time’s” ability to move, plant, and flurry with fluid combinations augers well for his run at a top ten ranking, while “The Dragon,” thanks to his ability to apply relentless pressure and throw power punches on the inside embodies the “nightmare opponent” designation to perfection, expect that, based on last night’s outstanding performance, Claggett should not be labelled as a mere “opponent” by anyone. A boxer who can triple his jab the way Claggett can and cut off the ring so swiftly and ruthlessly isn’t just some tough “test” for a boxer making the leap to contender status. Boxing’s political entities have been unkind to Claggett, who despite having won minor titles has never held a meaningful world ranking. 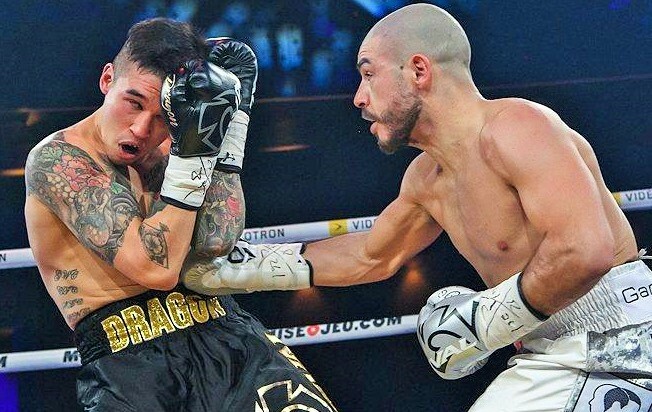 His efforts against Germain and Yves Ulysse Jr. should lead to a higher profile and a chance to break through to top contender status, and the same goes for Germain, a skilled pugilist who demanded this test and rose to the occasion, proving that he too is a credible threat for anyone at 140 pounds. Sadriddin Akhmedov (7-0) is already proving himself to be perhaps the most naturally gifted fighter on the Eye of the Tiger roster. In only his seventh pro fight he captured the WBC Youth title at 154 pounds, neatly setting up what promises to be a break-out campaign. Although he’s only 20, Akhmedov is the one youngster in Camille Estephan’s stable who should be fast-tracked. Nabbing a minor title is a key step in that direction, and if Akhmedov can see action several more times in 2019, he should secure a ranking with one of the major sanctioning bodies. In outclassing Abraham Juarez (13-2), Akhmedov showed elite timing and patience that belies his age. Over the first three rounds, he worked a piston jab, applied subtle yet stressful pressure, and landed virtually every thudding right hand he timed. 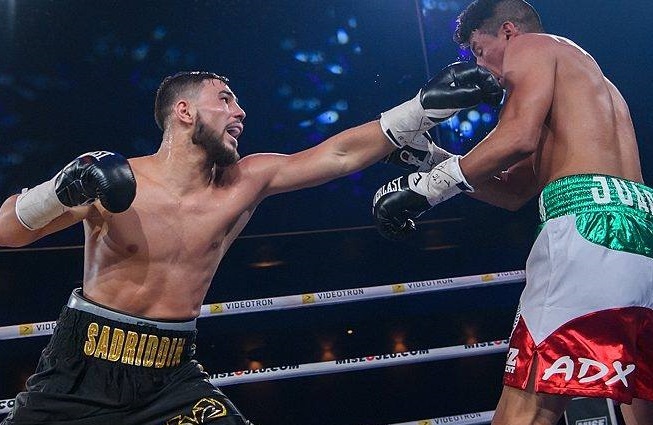 The two explosions that won the fight in round four gave the clear sense that Akhmedov could have ended proceedings whenever he’d wanted, whether 30 seconds into the fight or in the final stanza. He’s simply that talented and more than ready for stiffer opposition. Next, personified heavyweight nightmare Arslanbek Makhmudov (6-0) — all 6’5″ and 261 pounds of him — strode to the ring to the piercing tune of his trademark siren, which should now be seen as a solemn call to total annihilation for any unfortunate fighter standing in the opposite corner. In only his sixth pro fight, Makhmudov dusted durable veteran Jason Bergman (27-16-2) with frightening ease. Bergman was unable to use the experience garnered from 45 previous contests to survive even one round with his gigantic opponent. 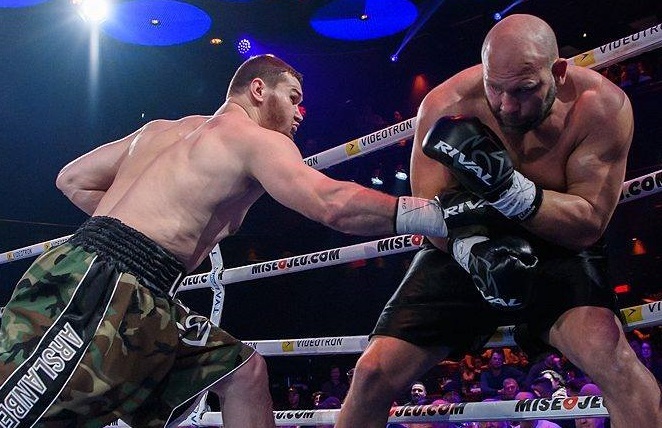 The 6’5″ Makhmudov already appears to be a legitimate heavyweight threat. But don’t fault Bergman, who actually started the bout on his front foot. Makhmudov patiently waited for his opening before unleashing two barrages of power punches that forced the American to slump into his corner. Once again, Makhmudov showed surprising fluidity to complement his brute strength. 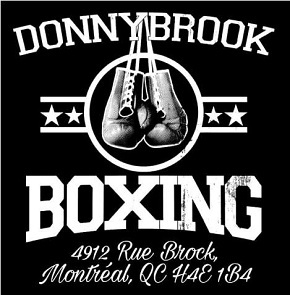 It’s going to take some serious money to lure to Montreal credible opponents who can give Makhmudov rounds and meaningful resistance. By the end of 2019, the Russian transplant could be ready to follow Oscar Rivas’ blueprint of venturing south to face higher-ranked foes. On a nine-fight card stacked with prospects, it’s easy to get swept up in the main event and co-feature, especially when assessing fighters with fewer than ten or even just five professional bouts. 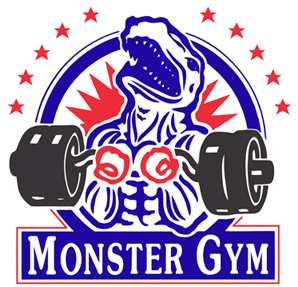 That said, Eye of the Tiger’s matchmaking braintrust deserves recognition for selecting opponents for their younger prospects that combined varying attributes ranging from iron chins and genuine punching power to extensive ring experience. Kaemy Cloutier (2-0), in only his second outing in the paid ranks, tangled with game Mexican Saul Alejandro Gonzalez Meza (4-4) and although Cloutier dropped Meza twice, the challenger landed meaningful body shots and would have earned a draw on one scorecard had he stayed upright earlier in the contest. Cloutier was met with genuine resistance and wasn’t able to exclusively apply pressure or circle at his leisure. Meza had his moments of controlling ring geography, but the fact that Cloutier still found ways to assert himself augers well for his development. Raphael Courchesne (5-0) was also the beneficiary — and I use that term somewhat perversely due to the bout’s gruelling, bloody outcome — of all the difficulties iron-chinned Alejandro Chavez Meneses (9-4) presented. 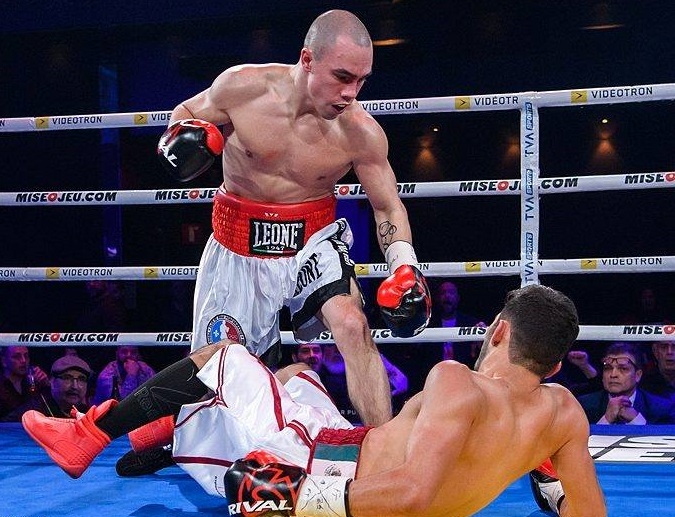 Although painfully slow, Meneses’ spearing blows were surprisingly effective, and he tagged the shorter Courchesne with more than one jarring uppercut. Of even great concern was the cut over Courchesne’s left eye that clearly bothered the aggressive prospect, who needed a second wind to rally in his first six rounder. Indeed, Courchesne won, but he faced some helpful adversity that revealed exactly where he needs refinement: general pacing, more off-speed punches, and calculated feints. Although his pro debut lasted a mere 43 seconds, bluechip talent Lexson Mathieu made an indelible first impression. 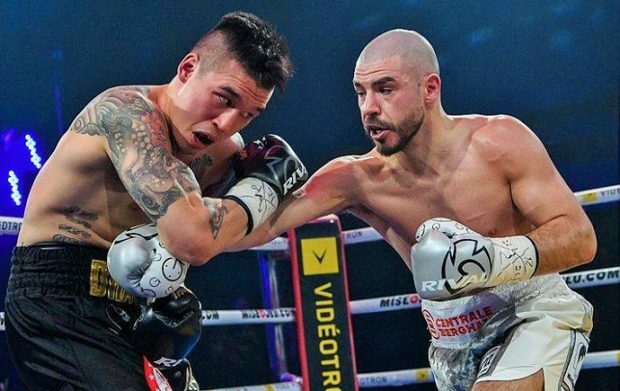 It’s not often that you see a boxer spin his opponent around 360 degrees with a punch, but Mathieu accomplished that eye-catching feat when he nailed Edgar Santoyo (2-2-2) with a sledgehammer right hand after seamlessly switching from a southpaw to orthodox stance. Santoyo appeared to short-circuit and then slowly twirl like a dreidel about to topple over. Unfortunately for Santoyo, he came to rest in a corner where a blinding fusillade from Mathieu ended matters. Here’s the dilemma for Eye of the Tiger: How fast do you move a 19-year-old with prodigious talent? The obvious point of comparison is stablemate Steven Butler (26-1-1) who, along with Mathieu, is a generational talent. 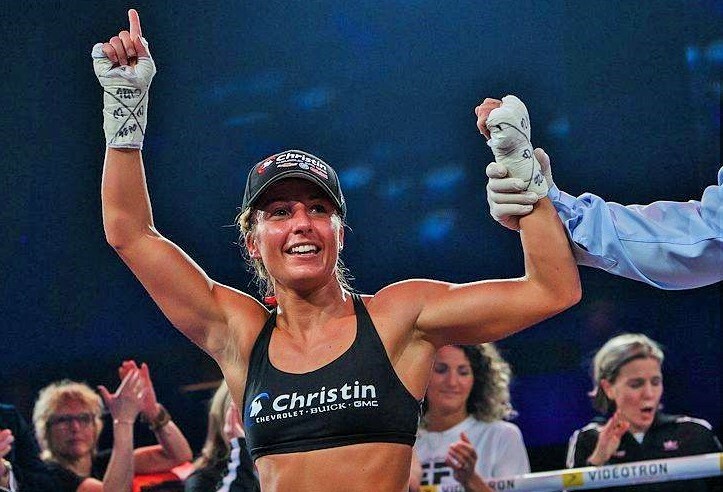 What’s encouraging is that it appears Camille Estephan and his team have learned a valuable lesson from Butler’s defeat to Brandon Cook in 2017. Butler’s rebuild since that shocking knockout has been nothing short of masterful, and Butler now finds himself highly ranked at middleweight. 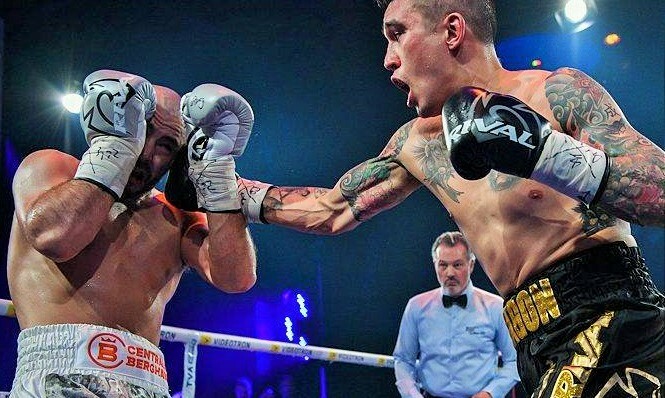 Moreover, Estephan recently stated that he intends to use 2019 to position the 23-year-old Butler for a title shot next year. That kind of patience is admirable. Kim Clavel is now 6-0. The same approach should be adopted with Mathieu, who promises to run roughshod over his early opposition. Mathieu is still a teenager, having turned pro early, exactly like Butler. Keeping Mathieu busy will surely be the plan, but there’s no need to rush. The next few years should be pure prospect development with a meaningful leap to contender status coming around the time he’s 23. Steven Butler laid an important blueprint for Eye of the Tiger, and Mathieu will certainly be a primary beneficiary of hard lessons well learned. There’s a score to settle at 140 pounds in Canada. Actually more than one, when the trio of Claggett, Germain and Yves Ulysse Jr. (17-1) is considered. Ulysse, who controversially lost to Claggett in 2017, is currently leading the pack in terms of name recognition, world rankings, and assumed potential at the championship level. But the reality is that even if he is the most talented of the three, his fight against Claggett was highly competitive. Judging from last night, if Germain and Claggett are behind Ulysse in the division’s pecking order, it isn’t by much. Claggett and Ulysses rumble in 2017. In terms of the eye-test, Ulysse is the only one who oozes what can unsatisfactorily be described as that “special” quality. And yet, Ulysse’s 2018 was, despite his Madison Square Garden debut, a letdown in that he only fought twice while seeing less worthy counterparts secure title shots or major opportunities. If Ulysse is going to be sidelined for the first half of 2019 as he was last year in the hopes of angling for a title shot, a Germain vs Claggett rematch could see the winner pull almost even with Ulysse. 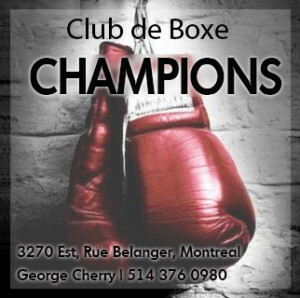 Again, Ulysse is the most gifted of the three and is ready for a title shot, but he may need some more Cletus Seldin-type wins to force the hands of current belt holders. Arslanbek MakhmudovCamille EstephanDavid LemieuxEye of the Tiger ManagementKaemy CloutierMathieu GermainSadriddin AhkmedovSteve ClaggettSteven ButlerYves Ulysse Jr.